We just never know who will be calling next? 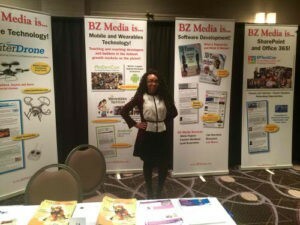 Most recently we assisted at a BigData TechCon event in Chicago. The many staff we provided assured it was a succesful event. Participants and guests had fun learning about reaching developers in the hottest growth markets. Just another example that working with www.NationalEventStaffing.com allows you to attend fun events and get paid all across Canada and the USA.